With the rapidly blooming mobile industry, embracing an effective mobile presence has become quite imperative for businesses. The proliferation of mobile devices with different platforms and distinct screen sizes has made targeting the diverse mobile audiences a daunting task. There are several crucial factors that must be considered while creating apps, and cross-platform mobile app development offers an excellent solution. However, developing an efficient cross platform app is not a child’s play. Creating a cross-platform mobile app basically involves a single codebase for developing applications that will support different mobile platforms. Since, the mobile OS possesses different architecture, developing code to appropriately cut across the targeted products is a cumbersome job. To meet the rising demand of cross-platform mobile app development in the market, experts have provided numerous proficient development tools. These tools help create a desired application with utmost ease and precision for the desired platform. In this article we have shortlisted the best tools for cross platform mobile app development. This will help you choose the most appropriate one for your needs. Let’s ponder into them. This popular framework delivers high end performance with ravishing user experience. Moreover, to ensure the latest capabilities and resourceful components, the framework is rapidly updated with advanced offerings. 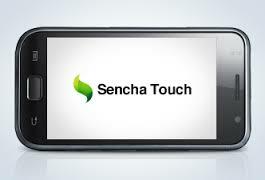 The latest Sencha Touch 2.4 version is popularly known for developing a native look and feel of Blackberry devices while creating mobile apps. 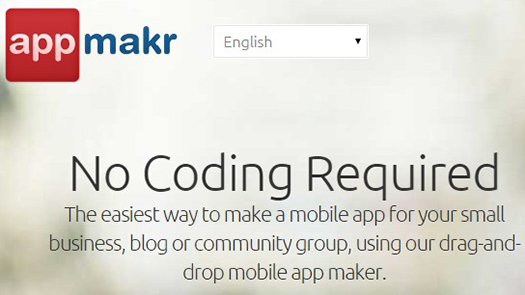 No matter if you exhibit excellent programming skills or not, you can easily create a desired mobile application by using the AppMakr tool. This is basically a cloud-based tool that offers simple drag and drop functionality to augment app development without getting deep into the coding. While allowing one to conveniently create a mobile application, it also aids the users to submit the app in the app stores. Moreover, with the integrated powerful analytics, you can easily monitor your application performance and thus, make appropriate strives to further improve it. This amazing mobile app development tool comes complete with a plethora of templates. So, you can choose a suitable template for your app and easily lend an effective look and feel to your app. You can integrate a desired template as it is or personalize its visual appeal to generate a fresh and unique app appearance. 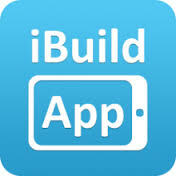 It even allows one to gather potential users by simply highlighting the app in the iBuildApp gallery. Moreover, it also allows one to test and run their application on a mobile device. Create HTML5 based touch applications with jQuery Mobile platform and optimize your app for multiple mobile platforms including Android, Blackberry, iOS and a lot more. This resourceful framework allows one to develop feature rich, responsive apps that can be conveniently accessed over Smartphones, desktop, tablet, etc. Albeit currently, Android possesses the colossal audience base with over 85% of the total market shares, but you never know which platform will rule the ground in the future. Thus, by creating cross platform application, you can ensure a sustainable mobile presence for your business. These are the best cross-platform mobile app development tools, with which one can efficiently target multiple mobile platforms. You may choose any of the aforementioned tools and accomplish app development in an absolute way. However, it is essential to streamline your choice while considering your app requirements and the offerings and functionalities offered by a development tool. 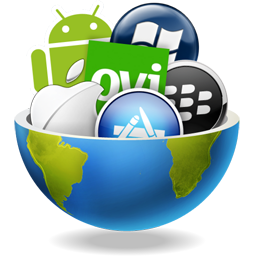 Do you have any other awsome Tools That Augment Cross-Platform Mobile App Development to share? I know there are plenty more out there. If you have anything to say, please share your opinion in the comments section. Your opinion matters, unless it is a Spam. Victoria Brinsley is a veteran mobile app programmer for Appsted Ltd – one of the reputed Android app development companies. With her best assistance, clear all your queries related to development process or procedures. 58 queries in 0.394 seconds.